Product #15481 | SKU 86CCP | 0.0 (no ratings yet) Thanks for your rating! 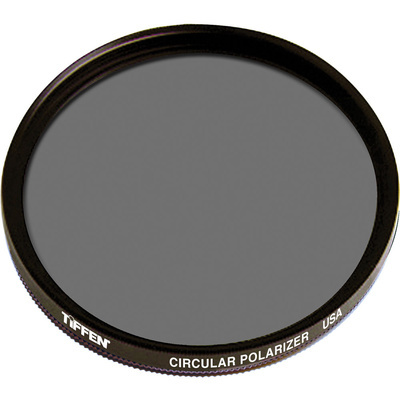 Tiffen 86mm (Coarse Thread) Circular Polariser Filters - Light rays which are reflected become polarised. Polarising filters are used to select which light rays enter your camera lens. They can remove unwanted reflections from non-metallic surfaces such as water or glass and also saturate colours providing better contrast. The effect can be seen through the viewfinder and changed by rotating the filter. The filter factor varies according to how the filter is rotated and its orientation to the sun. If you're out walking on a lovely day - in the mountains or at the beach - and you want to get a fabulous shot of a cloud-filled sky or make the water seem more saturated, then a polariser is the way to go. This filter is the best way to make the clouds stand out, increase or decrease the saturation of the ocean or increase or decrease the reflection off the water. You can also use this filter when shooting into glass or windows since it will, again, either increase or decrease reflections. Along with a UV or Skylight Filter, a polarising filter should be a part of everyone's gear bag. It can turn a run-of-the-mill image into a stunning, creative photo by increasing colour saturation.